With the Samsung Galaxy S IV announcement arriving late next week, the rumor mill is awash with various claims pertaining to the handset. In the latest, the specs – including an Exynos 5410 quad-core chip clocked at 1.8GHz – is said to be powering the Korean company’s beastly flagship, but those hoping for a change in the usual plastic wrapping are going to be left disappointed once more. According to leaked benchmarks, the Galaxy S IV will be at the top of the pile when it comes to sheer power, but a separate leak suggests that, while it was hoped Samsung would try and impress with a solid finish, it looks as though the shiny plastic is back to fight another day. 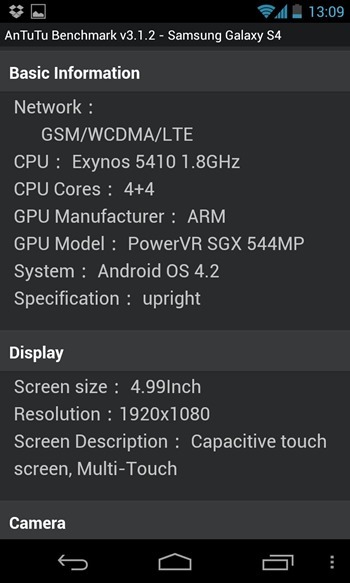 As if there was ever any realistic doubt Samsung would not be beefing up the fourth Galaxy S device, Android developer Faryaab Sheikh has tweeted an AnTuTu benchmark, which shows the Galaxy S IV will pack that impressive, 1.8GHz quad-core processor, and a 5-inch, full-HD display boasting a mighty 1920 x 1080 resolution. As well as that, 2GB of RAM, a 13-megapixel rear camera and Android 4.2 Jelly Bean complete the major specification information. It has long since been presumed the S IV would include features similar to the aforementioned, but seeing them listed on the benchmark readings adds a degree of officiality to proceedings; even though that is not necessarily the case, as benchmarks can easily be faked. Still, while it’s looking as though we can safely say the S IV will pack in some impressive innards, what of the outer shell? One common criticism of Samsung’s device range is the shiny plastic finish, which in turn makes the device look and feel cheaper than some of its rivals. HTC really threw down the gauntlet with its slick, aluminum-clad One handset, which certainly competes with the iPhone 5 in terms of aesthetics, but it wouldn’t seem as though Samsung is ready to break the habit of a lifetime. With reports claiming that the Galaxy S IV has been manhandled already, it’s being said that one of the key traits the S IV will share with its predecessor will be the plastic fascia, and thus, we’re anticipating a design fairly similar to that of last summer’s S III. 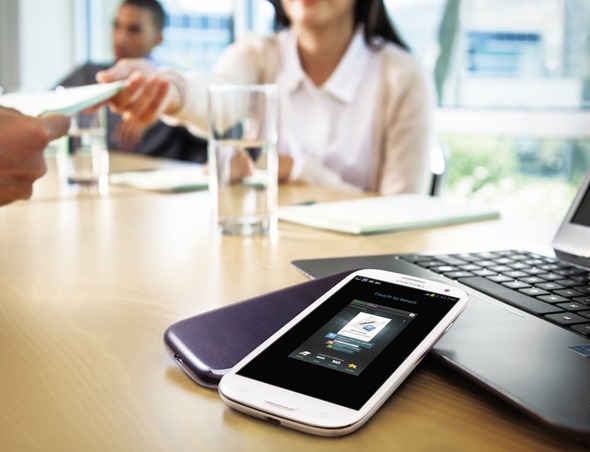 If the handset is indeed laden in plastic, would you be swayed towards an alternative?